Camp for €20,- a night at Campsite RinerLodge in low season with CampingCard ACSI. 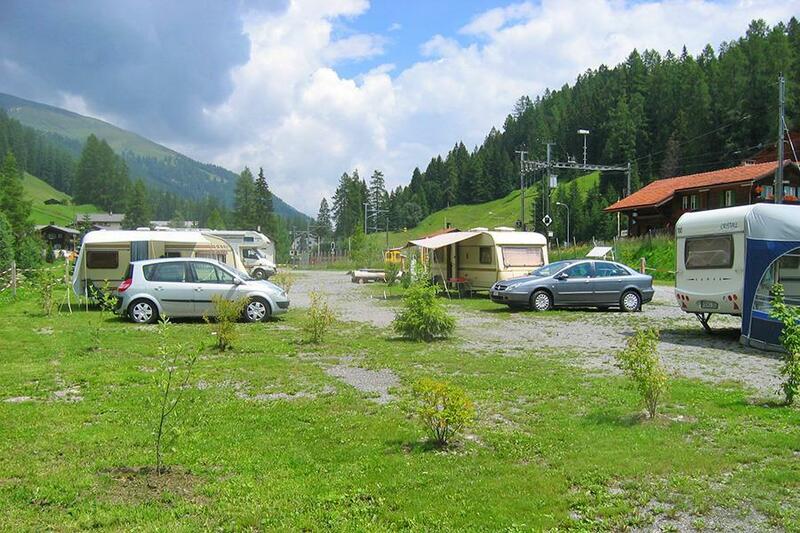 Campsite RinerLodge, located in Glaris (Graubünden), is a campsite with 84 touring pitches. With your CampingCard ACSI you can camp on one of the pitches during the following periods: 01-05-2019 - 16-06-2019 and 15-09-2019 - 30-10-2019. At this campsite you can not only use your CampingCard ACSI for inexpensive camping, you can also use your ACSI Club ID (as an alternative ID). The campsite has hardened level grounds and is a short distance from Davos and the base of the Rinerhornlift. Camping guests can make free use in the summer of six mountain lifts and public transport. Would you like to book Campsite RinerLodge or request more information? You can do both using the information below or by visiting the campsite's website. Campsite located 10 minutes by car west of Davos. Access road from Klosters not a problem. CampingCard ACSI will send your information request to "Campsite RinerLodge".